If you have an upcoming workshop, retreat, teacher training, festival, or any other kind of yoga event, you can (and should) post it on YogaTrail. It's free, and it's one of the best ways to get the word out in the yoga community and manage signups and registrations. You can take bookings and payments for your events. YogaTrail provides a full-service booking platform where you can set up early bird discounts, deposit options, create unlimited 'packages' — the works. After posting your event, you'll find some easy tools to promote your event within your own community. While your students and followers will be notified about your event automatically, you can use social sharing buttons, and send out event invites to lists of emails. The best part: if you've enabled booking, you won't pay any commissions for people who come in from any of your event invites. 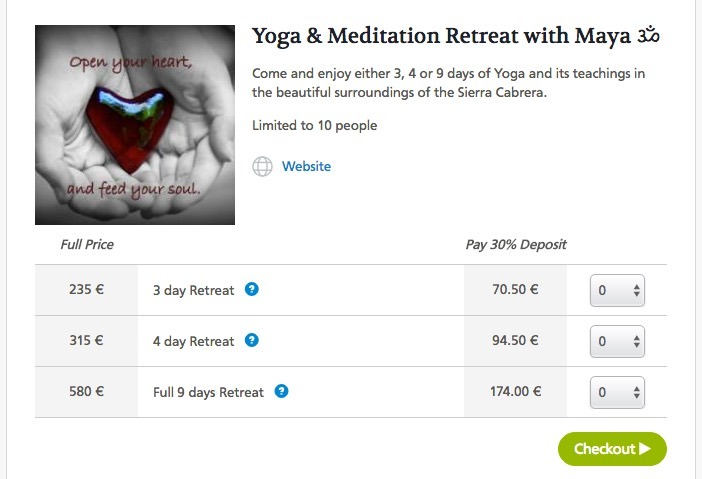 That means that YogaTrail can really save you some money when compared with other event management platforms! Once it's published, your event is found in the list of local area events. It also appears on your profile, as well as the profiles for the venue and all the teachers associated with your event. 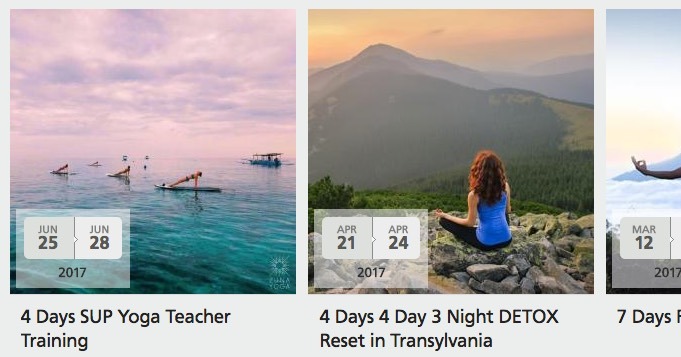 If you want to get lots of yogis to hear about your event, YogaTrail can promote it with some extra marketing power, either locally or internationally. To learn about event promotions, read more here. If you organise yoga events frequently, upgrading your profile to one of an event marketing plan is recommended. For example, 'Premium' and 'Global' profiles can create unlimited events, which are then promoted in email newsletters, on the web and in the YogaTrail Mobile App. For more info, see here. If you're thinking about running a retreat or wellness event and don't have a location in mind yet, you'll appreciate the YogaTrail Host Finder. It's a one-of-a-kind resource that can help you find the perfect place for your event. Even if you've never organised a retreat before, the Host Finder is a fun page to browse for some inspiration!